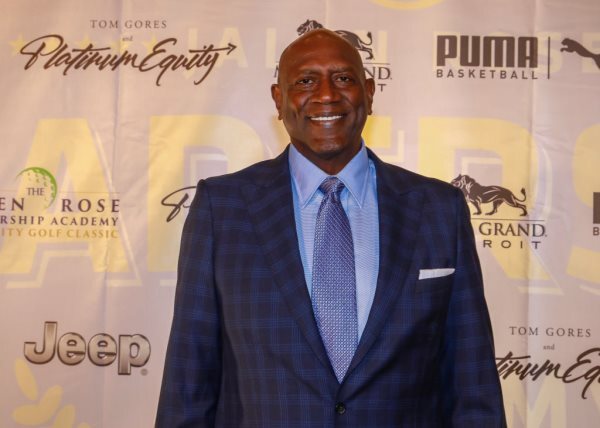 AFRICANGLOBE – In college, Spencer Haywood was one of the most formidable players around. He averaged 32.1 points and 21.5 rebounds during his sophomore season at the University of Detroit Mercy. That season was ultimately his last in college, as he joined the Denver Rockets of the American Basketball Association. Haywood’s strong play continued for the Rockets – he posted averages of 30 points and 19.5 rebounds. After the season, he signed with the Seattle Supersonics and sued the NBA so he could play in the league. At the time, league rules prevented a player from entering the NBA before his college class graduated. On top of his early-career success, Haywood also won an Olympic gold medal in 1968. At the peak of his NBA career, Spencer earned around $350,000 per season which is the same as around $1.5 million today. In the early 1970s Nike, then an upstart company, approached Haywood with an offer. The company wanted him to be a spokesperson for its shoes. Haywood was very interested. For your info, $100,000 in the early 70s is the same as around $625,000 today after adjusting for inflation. Not a tiny sum. The choice seems obvious in retrospect but keep in mind that at the time, Nike was an unknown company. In fact, the company only recently changed its name to Nike. It was formerly Blue Ribbon Sports for seven years, rebranding as Nike in 1971, just months before the company approached Haywood. Because of those factors, Haywood’s agent strongly encouraged him to take the $100,000. He ultimately agreed. Haywood received an immediate windfall of cash, but… well, obviously, hindsight is 20/20. FYI, today Nike’s market cap is $120 billion. So had Haywood taken and held on to his 10 percent stake, today it would be worth $12 billion. More when you include dividends. Haywood still had a long, productive career, averaging a double-double (20.3 points and 10.3 rebounds per game) over 844 games. He also won a championship in 1980 with the Los Angeles Lakers and was inducted into the NBA Hall of Fame in 2015. He was also married to supermodel Iman from 1977 – 1987. Interestingly enough, his contract with Seattle – a six-year, $1.5 million deal – was also made in $100,000 payments. The Supersonics spread those payments out over 15 years. Though Haywood made millions in the NBA and today has a net worth of $3 million, it’s tough to think about what he ultimately gave up. Next articleThe CEO Behind Akon’s $80 Million Dollar Brand… Is His Sister!